Caring for an elderly parent can be extremely challenging. The role reversal involved is emotionally and intellectually demanding, and many caregivers find themselves unprepared to undertake such a difficult task. 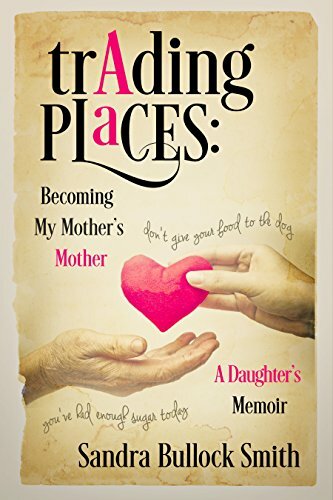 In Trading Places: Becoming My Mother’s Mother, author Sandra Bullock Smith shares her personal experiences spending ten years caring for her ailing mother. This heartfelt look at the trials and tribulations of that decade offers powerful insight and encouragement for anyone entering into a similar period of life. Smith’s touching stories share the heartbreaking, and sometimes comical, moments she experienced while providing assistance to her aging parent—and how they mirrored similar events from her own childhood. In a very real sense, the two women traded places. Smith found herself uttering phrases she heard all too often as a child, such as, “Don’t give your food to the dog” and, “You’ve had enough sugar today.” Smith began jotting down the things she said, and thus this charming book was born. Filled with respect, compassion, and love, this uplifting and amusing memoir is for anyone involved in elder care or who may face the role in the future.